ACCOUNTANCY: The Institute of Certified Management Accountants (CMA) -Australia is the only qualification to enter the accountancy field for non-accountancy professionals/graduates in the country, Course Director Nalaka Godahewa said. The CMA (Australia) is an increasingly popular professional qualification amongst business managers who want to enhance their knowledge on management accountancy and presentation of decision information in Australia will be launched before the end of this year. AGREEMENT: An MoU was signed with ICBS recently to promote the CMA (Australia) qualification in Sri Lanka. Professor Janek Ratnatunge representing ICMA Australia with Nalaka Godahewa the Course Director for the CMA Programme signed the MOU. 'We already have a large number of non-accounting professionals wanting to join the programme. On the request of the Chartered Institute of Marketing we have decided to give preference in the next batch to Chartered Marketers who are seeking multi-qualifications, as we can accommodate only a limited number per batch, Godahewa, said. It has three levels of membership namely Graduate Member, Associate Member and Full Member of ICMA. Recognised non-accounting professional qualifications are entitled for certain exemptions at the graduate GMA level, he said. Certified Management Accounting (CMA) status which requires evidence of having passed both the Institute's Advanced Management Accounting and Advanced Strategic Management Accounting subjects at the post-graduate level (or equivalent) and evidence of five years work experience in management accounting. Alternatively, qualified accountants with 10 years' experience in management accounting can also apply direct for CMA membership without examination. Associate member (AMA) status, requires only three years' work experience in management accounting and does not require the two advanced subjects. Graduate member (GMA) status is available to those with a recognised accounting degree (or equivalent) but without any management accounting experience. Non-accountancy professionals including CIM, Banking qualification and other business management graduates will obtain 12 exemptions out of 16 subjects, which could be completed in nine to ten months, he said. 'You need to take two more strategic level subjects/modules later to become a CMA, Godahewa added. Several reputed Universities recognise the CMA Australia qualification. For example a CMA can apply for exemptions from four modules if they want to pursue an MBA at Monash University. It is a saving of almost Rs 1 million. The local branch has linked up with the HSBC Bank to offer students loans for prospective students, he said. The total cost for four subjects will be Rs. 120,000 with 12 exemption subjects built into this price structure, Godahewa said. For a batch it accommodates 40 students and all lecturers are multi-qualified professionals who could share industry exposure with students. The Imperial College of Business Studies (ICBS) will conduct classes for CMA students in August. 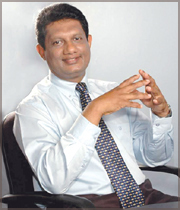 There is a big demand for a reputed Australian Management Accountancy qualification in Sri Lanka especially for career prospects and migratory options, Godahewa said. He said that Professor Janek Ratnatunge of the Monash University who is a Member of the Executive Committee of CMA Australia, was in Sri Lanka to conduct a three day Strategic Level Module for 35 candidates who are sitting for the CMA finals. The Institute of Chartered Accountants of Sri Lanka organised the programme, which was conducted for the 11th time in Sri Lanka. During his visit Professor Ratnatunge also made a presentation on 'Budgeting for Integrated Marketing Communication' at the Chartered Institute of Marketing for more than 100 senior marketers recently. CIMA graduates could obtain the qualification by completing two strategic level modules. CMA- Australia is offering the course in several countries including Australia, Europe, Africa, Hongkong, Philippines, Middle East and India. The provider institutes are selected carefully to ensure the quality of delivery. In Sri Lanka only the ICBS is accredited to conduct the programme. CMA (Australia) is currently sharing research and knowledge work with USA accounting body and it is now in the process of negotiating for a merge, if that is transpired it would be the world's largest accounting body.